There are 1.6 million American players, and more than 20 million worldwide, according to US Squash. Types of shots played - Although not a fact, I believe it is interesting. In squash, there are many types of shots played that lead to interesting games and strategy. Straight drive: The ball is hit parallel and close to a side wall to travel deep to the back of the court (the 'basic' squash shot). Often referred to as a 'good length' shot. Boast: The ball is played off a side wall at an angle, or the back wall, before hitting the front wall. A 'three wall boast' has the ball hit at a side wall such that the ball hits the front wall followed by the opposite side wall before finally hitting the floor. A 'back wall boast' has the ball stuck against the back wall before reaching the front wall. It is typically not recommended to beginners due to the risk of hitting spectators above and behind players on solid backed courts. A 'trickle boast' is a boast performed at a shallow angle with the front wall at a low trajectory. A 'reverse boast' is a boast played towards the sidewall furtherst from the striker. It is played rarely at high levels due to the high risk of hitting the opponent and the typical ease of counterattack. Volley: The ball is hit 'on the full' (before it touches the floor), usually directly to the front wall. Drop shot: The ball is hit gently against the front wall, to fall softly to the floor in the front corner. Lob: The ball is hit softly and high on the front wall and with a high arc, so that it falls in a back corner of the court. Cross Court: The ball is hit against the front wall at an angle such that the ball lands on the opposite side of the court to the striker. Kill: The ball is hit hard and low on the front wall so that it travels no farther than half court. Nick : The ball is hit such that after striking the front wall the ball connects with the junction between the side wall and the floor. The result is the ball either bouncing minimally or 'rolling' out of the nick, ending the rally. Philadelphia (or corkscrew): A shot played diagonally upwards into the front corner hitting the front wall first and then the side wall. The ball then lobs over the court with significant spin. Ideally it hits the opposite side wall at the back and travels parallel to the rear wall making a return very difficult. This shot is a favourite in exhibition squash but is susceptible to being volleyed. Skid boast: A shot played from the back corners of the court where the ball is hit high along the sidewall with a small angle so that it hits the sidewall first, then hits high in the middle of the front wall continuing to cross the court while high in the air ideally hitting the opposite sidewall and landing close to the backwall to go past the opponent. As with the Philadelphia it is susceptible to being volleyed. Mizuki: This shot is hit as a volley. Unlike a normal volley, the Mizuki shot is hit with the other side of the racket by turning the wrist which deceives the direction of the ball. In one hour of squash, a player may expend approximately 600 to 1000 food calories. In 2003, Forbes rated squash as the number one healthiest sport to play. England is regarded as a, if not the, leading squash nation. They have approximately 8,500 courts and 500,000 players[i]. With 500,000 players and 8,500 courts, they have approximately 59 players per court. There are approximately 3,700 squash courts in the U.S. The Sporting Goods Manufacturers Association estimates approximately 1,100,000 players in the U.S., which suggests 297 players per court. France has 250,000 people playing squash on 1,300 courts. This would result in 192 players per court in France. According to the Australian Sports Commission, 108,300 people play squash on approximately 3,500 courts. This suggests approximately 31 players per court. According to Squash Ontario, Canada has >250,000 players using 1,810 courts. This suggests >138 players per court in Canada. The first discrete national associations to be formed were the United States Squash Racquets Association in 1907 and the Canadian Squash Racquets Association in 1911. Probably the most successful Squash nation of all time, Australia, had its Squash seed planted through contact with the military. Although the first Squash courts in Australia were established in 1913, at the Melbourne Club in Victoria, there was no official Squash association until 1934 although top players had been engaged in ad hoc club tournaments since 1927. Of all the nations where Squash is played, Pakistan is the greatest enigma, producing a succession of amazing Squash champions from a country where there are still less than 500 courts. ​Squash is played in some 185 countries, on nearly 50,000 courts, and the WSF now has 150 Squash playing National Associations in membership. The Titanic had a squash court, and professional Fred Wright went down with the ship. The first players used rubber balls, which, when hit, squashed against walls (hence the name "squash"). It's been voted the healthiest sport to play by Forbes magazine based on cardiorespiratory endurance, muscular strength, flexibility, muscular endurance, calories burned, and risk of injury. The late Rainier III, Prince of Monaco, played squash every day for many years. Although Squash is not part of the Olympics, it is very much part of the Commonwealth Games, the Asian Games and Pan American Games. HOW MANY STOPPAGES ARE THERE? The full statistics can be downloaded from squashplayer.co.uk/rules"
Again no one really knows. To answer this question we need to do some analysis. Are players stopping for safety reasons, because they genuinely can’t play the ball or because they are seeking an advantage – i.e. to get lets in difficult situations or to try and win points from the referee? Where players block an opponent’s exit from a shot." As well as the cardio workout, squash helps to develop balance, hand-eye coordination and all-round flexibility. The type of ball you use is decided by the level you play at. A blue ball is for the beginners and a black ball with 2 yellow dots is for the experts! Nicol David (born August 26, 1983) is, and has been, the female world #1 for about 3 years now. From Malaysia, she has won a number of gold medals and championship titles starting at the age of 14. Natalie Grainger has recently ended David’s streak of over 50 unbeaten professional matches. Peter Nicol, MBE (born April 5, 1973) Nicknamed “The Boss”; he was the first UK player to hold the world #1 ranking. Nicol was known for being completely unflappable during a game and continuing the play until his opponent made the first mistake. Having spent a total of 5 non-consecutive years at #1, he has achieved 52 recognised title wins. Canadian, Jonathon Power (born August 9, 1974) is another former #1 player, achieving 36 recognised title wins throughout his career. Power and Nicol boast the most famous rivalry in the sport’s history, meeting many times in tournament finals. By letting his emotions show during a game, Power has been dubbed squash’s answer to John McEnroe. Jahangir Khan (born December 10, 1963) is another former #1, this time from Pakistan. He is considered by many as the greatest player in the history of the game and has put David’s winning streak to shame with 555 consecutive wins, giving him the Guinness World Record for most professional sporting wins ever. Now retired, he serves as the president of the World Squash Federation. Tom Cruise (born July 3, 1962) Cruise may not have won any medals, world ranking titles or achieved world #1, but the star has claimed to enjoy a game of squash in order to stay active. He also likes to hike, jog, sail, sky-dive, rollerblade and play tennis!" The rate of squash injury in the general population is 18 injuries per 1,000 hours of participation. Most squash injuries are due to acute or traumatic events (e.g. fall on court, hit by the racquet or ball). Only a small proportion are overuse injuries. Injuries to the ankle and knee are most common. These injuries are often not severe but can limit game performance. Common types of injuries are strains and sprains that typically occur to the lower and upper limbs, and the lower back. Squash players are highly educated. 98% are college graduates and 57% have further graduate degrees. Cameron Pilley (AUS) set a new World Record at Bishop’s Stortford Squash and Racketball (coincidently, Charlie’s home club in England) on May 9, 2014 when he hit a squash ball at 176 MPH. The longest squash-playing marathon (singles) is 35 hours, 2 minutes, and 3 seconds, achieved by Darren Yates and Adam Fisher (both from New Zealand) in Perth, Australia, on April 12, 2015. Leaping, spinning, stopping, bending, jumping, sprinting and running are just some of the moves the body has to make in a game of squash. If you are a beginner at squash, your practice is 95% physical and 5% mental. Once physical conditioning is improved, practice becomes 95% mental and 5% physical. Squash is predominantly a male sport (84% are male, 16% are female) and it tends to be played by people in their 20s and early 30s. A standard international squash court is 32 feet long and 21 feet wide. Australia has been the top placed team 6 times. 400 000 players registered to take part in the World Squash Day Challenge, which demonstrated global support for the sport's 2000 Olympic bid. More than 800 clubs from over 70 nations joined in, with players representing Team Squash and Team 2020. Heather McKay (Australia) was possibly the most dominant sportswoman in history. She only lost two matches in her career and was unbeaten from 1962 to 1981. Geoff Hunt was World Champion 7 times and won 8 British Open titles. Australia won 22 world titles between 1970 and 2007. Cameron Pilley's world speed record in 2011 was 175 mph. 17 Australian World Champions since 1976. Squash is the 23rd most popular sport in the world. 30/50 medals were won at the Commonwealth Games since 1998. Total medals won by Squash Australia at the Commonwealth Games since 1998: 13 bronze, 8 Silver, 9 Gold for a total of 30. One million viewers watched the squash finals in Glasgow 2014 Commonwealth Games. An estimated 35,000 people watched the live squash games at Glasgow 2014 Commonwealth. Australian Open: 1980 - First event; 2015 - Streamed to 50 nations. 283kph is the fastest recorded speed on squash ball smash. Squash is an ethical sport. Squash is a drug free sport. There are more than 200,000 people playing squash in Australia. 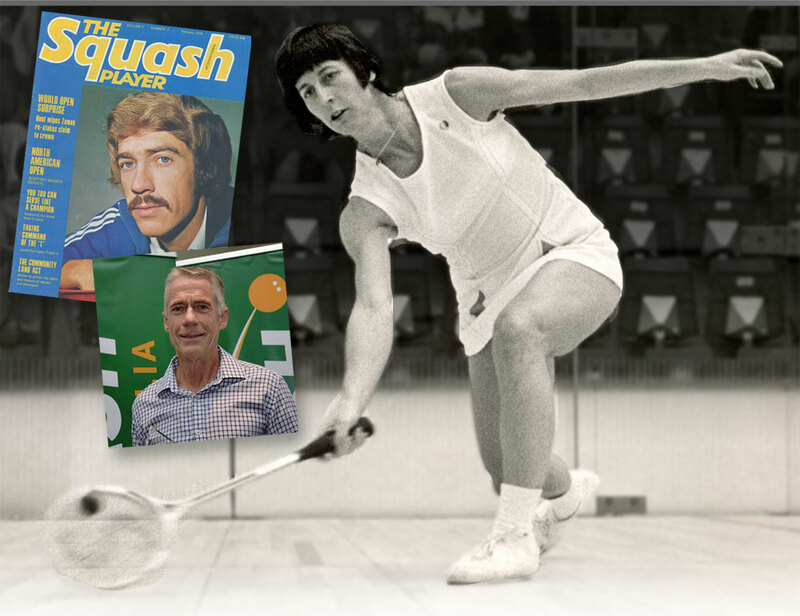 Squash Australia was founded in 1934. There are 768 squash centres and 1918 squash courts in Australia. 89% of people believe that sports has a positive effect on the country's reputation. Squash can be played by all ages. Good for physical and mental health. Squash Australia won 2 Gold medals and 1 Bronze at Glasgow 2014 Commonwealth Games in 2014.